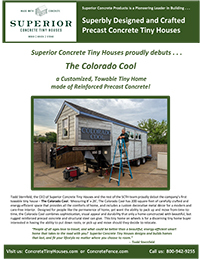 The first Superior Brick™ towable precast reinforced concrete and structural steel home in the Superior Concrete Tiny House line, the Colorado Cool is a 200-square-foot modular precast tiny home built on a strong, gooseneck trailer. 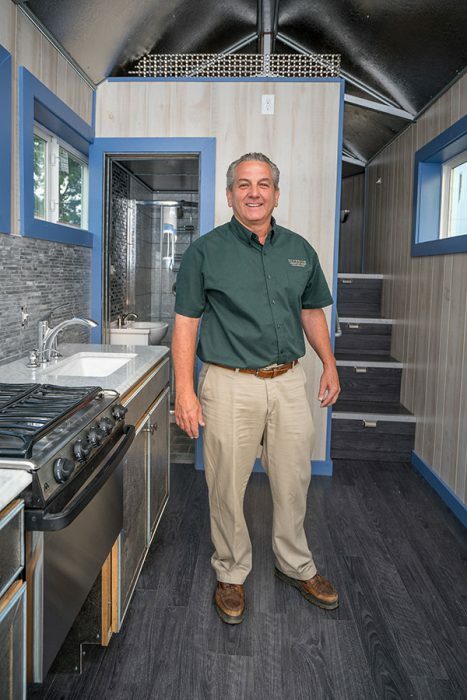 This model includes a 40-square-foot porch for added living space. 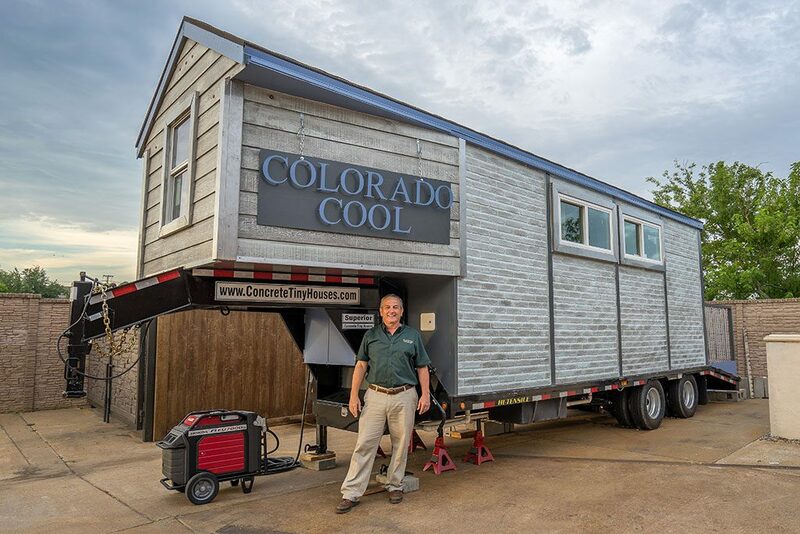 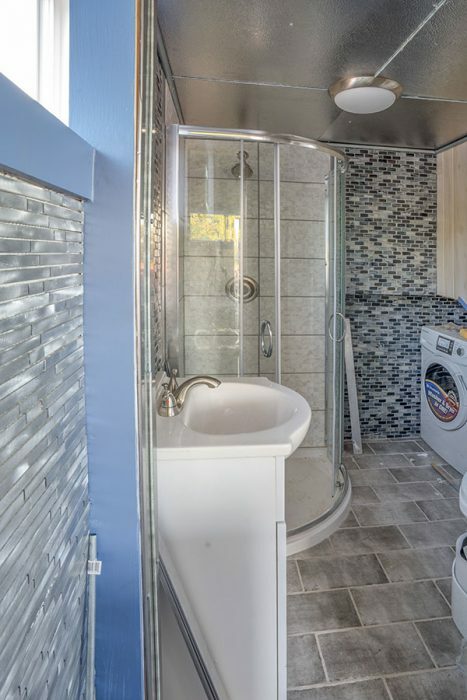 This unit is designed for tiny house enthusiasts who enjoy a more mobile lifestyle.